Fans have voted. 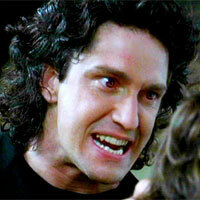 Gerard Butler came in as the #1 Fang in last week’s poll with 69% of the vote for the title role in Dracula 2000. 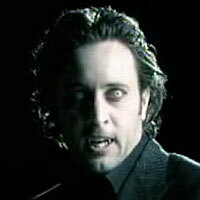 Coming in second was Alex O’Loughlin from CBS’ new show Moonlight with 17% of the vote. 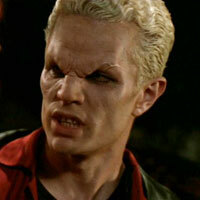 Third place goes to James Marsters for his role as Spike in Buffy the Vampire Slayer with 6% of the vote. Thank you to everyone who voted. Round Two of the Favorite Fang Poll will be available shortly and will include a few fangs left out of the first round, namely Kyle Schmid from Lifetime TV’s Blood Ties — the second half of the first season starts this Friday — and Mark Frankel from Kindred: The Embraced. Suggestions are definitely welcome in the comments section of this post. Also, since this is the Danger Gal blog, it would be fun to have a Female Favorite Fang Poll. Suggestions are welcome for that as well. Definitely think Kyle Schmid, should be number 1, 2, and hell 3 for that matter. He is the best vampire ive seen in a long time. Yeah.., I agree with Nicole. KYLE SCHMID !! Kyle Schmid #1 BABY!!! Best vamp around these days. Blood Ties is the best new Vamp show on any network, everyone should check it out. I’ve been a satisfied customer since day 1!!! Kyle and Blood Ties ROCK!!!!! Kyle on BLOOD TIES should win, hands down. BLOOD TIES is the best show on and that is largely because of the cast. Look, even his “fangs” look real compared to the others. C’mom, Kyle is the best. Kyle Schmid is the Hottest Vampire to ever grace our tv sets. He is #1 in my book!! Blood Ties is the best vampire show ever!! SEE I’M NOT THE ONLY CRAZY ONE LOL. KYLE IS THE ONLY CHOICE. THERE IS NO COMPARISON.